It is with the deepest grief that the Anambra State government received the news of the untimely passing away of our very own world-class curator, poet, educator and critic, Okwui Enwezor. The inimitable Okwui Enwezor, fondly known as simply “Okwui” in elite art circles all over the world, died of cancer in Munich, Germany, on Thursday, March 15. The 55-year old extraordinary scholar and intellectual hailed from Awkuzu in Oyi Local Government Area of Anambra State. Enwezor's transition was one death that sent volcanic shock waves across the continents. He was one of the foremost contributors to the mainstreaming of African art into the global art. He held large scale exhibitions in America, Asia, Africa and Europe, seizing global imagination. Enwezor may well be the proverbial prophet who was respected everywhere except his homeland because little was known about him in Nigeria, but he is widely recognised for his ability to globalise African art the way Professor Chinua Achebe took African literature to the global arena and Professor Kenneth Onwuka Dike, another great Anambra son, took African history to the global scene. Along with Professor Ben Enwonwu, Enwezor was Anambra's gift to the world of art. A quintessential Renaissance man, Enwezor was admitted to study at the University of Nigeria, Nsukka, but quickly left for the United States where he took a degree in political science at the Jersey City University. He was to serve as the director of the esteemed Haus der Kunst, Munich, Germany, until his resignation in 2018, following his battle with cancer. He rose in 1998 to become the first African, and as yet the only non-European Artistic Director, of the prestigious Documenta. Enwezor is reputedly the only curator, after Italy’s legendary Harald Szeeman to have directed both Documenta and the celebrated Venice Biennale. He was the curator in the Seville and Gwangju Biennials in 2006 and 2008 respectively, climaxing his career as the curator of the Paris Triennale in 2012. Earlier, in 1994, he collaborated with other artists in founding NKA: Journal of Contemporary African Art. He undertook the epochal exhibition In/Sight: African Photographers, 1940 to the Present, which he curated with Octavio Zaya at the Guggenheim Museum of New York. Enwezor’s oeuvre is a grand testament to social engagement. He used his art and exhibitions to address colossal social issues, ranging from apartheid to Africa's liberation movements to the significance of President Barrack Obama's leadership of the United States. For him, it was not art for art's sake but art in the service of humanity. Decorated with honorary doctoral degrees from the University of Cape Town in South Africa and Harvard University, Enwezor was awarded the Order of Merit of the Federal Republic of Germany in 2014 and the Hessichen Kulturpreis in 2015. Despite his global status, Enwezor was ever conscious of his West African roots. Even a week to his death, Enwezor was working on an exhibition entitled El Anatsui: Triumphant Scale, an extensive traveling exhibition of the work of Africa’s greatest living artist and emeritus professor at the University of Nigeria, Nsukka, El Anatsui, which he co-curated with Professor Chika Okeke-Agulu of Princeton University. The exhibition opened at Haus der Kunst in Munich, Germany, on March 8. The Anambra State Government is at once mourning Okwui Enwezor's death and celebrating his rich life. The government will participate actively in his funeral ceremonies, in line with our tradition of honouring men and women who make extraordinary contributions to our state and humanity. Commissioner for Information & Public Enlightenment. This year Ghana will have its first national pavilion at the Venice Biennale. I cannot remember the last time I felt very optimistic about a new pavilion by an African nation. The curator (Nana Oforiatta-Ayim) and her team have put together a powerhouse group of artists (Ibrahim Mahama, Lynette Yiadom-Boakye, John Akomfra, El Anatsui, Selasi Awusi Sosu and Felicia Abban), who will be presented in a pavilion designed by Sir David Adjaye, one of the most exciting architects practicing anywhere in the world today. There is no question then that Ghana's will be a go-to pavilion and an emphatic statement by that country that it too has contemporary artists that take on the world stage as constituted by the venerable biennale. But I am also riven by anxiety. There is ample reason for this. First, is my continuing worry about the lack of curatorial rigor and scatter-shot quality of work presented in African pavilions in Venice. Second, is the seeming lack of long-term vision by the authorities responsible for these initiatives. It is as if what's important to them is to go first to Venice and then think about--if at all--a sustainable infrastructure for their pavilion. You would think that the proper thing to do is to make sure that there is a plan in place to not just go to Venice but to stay in Venice year after year, like most countries with national pavilions. Cameo appearances make no sense; I hate teasers! At the last Venice, there were 8 or so African countries, a few of them attending for the first time (Nigeria, Ivory Coast, Tunisia). This year none of the debutantes of 2017 are there, and even Egypt that has had its own physical pavilion for decades is apparently absent. Of the three in this year's list (Zimbabwe, Ghana, and Madagascar) only Zimbabwe is a returning country--in fact, Zimbabwe is the one country that has made a consistent appearance since its inaugural participation several years ago. Is this spotty, half-hearted participation because Africa is a poor continent? Or it poverty of the imagination on the part of the people and institutions of art and culture in Africa? The answer might lie in this reality: Zimbabwe with its decades-long economic troubles has managed to maintain a respectable presence in Venice, while the boisterous, giant Nigeria, only managed to kind of show up at the last Biennale for the first time. So, this is a public memo to Ghana (and Madagascar): I very sincerely hope that this is not meant to a one-time act, another African cameo show in Venice! El Anatsui's survey exhibition "Triumphant Scale" at Haus der Kunst – the first ever in Europe – is the most comprehensive and detailed presentation of his oeuvre thus far. Occupying the entire East Wing, the exhibition comprises key works from five decades of the artist's career. At the core of the exhibition, which focuses on the triumphant and monumental nature of El Anatsui's groundbreaking oeuvre, are the bottle-cap works from the last two decades, with their majestic, imposing presence and dazzling colors. The exhibition also presents the lesser-known wood sculptures and wall reliefs from the mid-1980s to the late 1990s, ceramic sculptures from the 1970s, as well as drawings, prints, and sketchbooks. The exhibition reveals the artist's tireless preoccupation with the question of how a contemporary sculptural concept can be developed from the rich plastic innovations of classical and traditional African art. El Anatsui has persistently worked to transform the formal and sculptural possibilities of African sculptural idioms and, over fifty years, he has repeatedly revised and reinvented his material and compositional techniques to astonishing effect – from the early smaller wooden reliefs with their incised markings and broken ceramic forms, to the monumental outdoor cement sculptures, and, more recently, the vast and spectacular metal wall and floor works, which blur the boundaries between sculpture, painting and assemblage. In El Anatsui's hands, light, form, color, porousness and corporeality merge into awe-inspiring and triumphant works of art. El Anatsui’s Broken Pot series of the 1970s is characterized by the use of negative space and fragmentation as a structuring principle, and as metaphoric statement about life, history and memory. The wood works from the following decade create intimacy less by their relatively small scale than by their incised markings, inspired by the Adinkra signs of the Akan and Uli motifs of the Igbo, or indigenous West African writing systems, such as Nsibidi, Bamum and Vai scripts. The wood sculptures also have distinctive gestural markings made with a chain saw. The metal works, produced since 2000, dwarf the viewer with their magnificence and imposing scale, while captivating at close range with their jewel-like detail. As El Anatsui commented in 2003, the use of found materials is of fundamental importance: "I experimented with many materials. I also work with material that has experienced a lot of touch and use by people... and these types of materials and works are more charged than materials or pieces that I have worked with machines. Art grows out of any specific situation, and I think artists should work better with what their environment currently provides." The weathered surfaces of the transformed objects seem initially like a meditation on transience but, as Okwui Enwezor observes, El Anatsui intrinsically expands the possibilities of sculpture by responding to every material "as if he just discovered it in the flow of time and history." Importantly, El Anatsui's work is shaped by the interplay between the philosophical and aesthetic discourses of art and literature in post-colonial Africa. In 1962, the historic "Conference of African Writers of English Expression" at the Makerere College (now Makerere University) in Kampala, Uganda focused on the question of language and the new African literature. The participants included militant nationalists who rejected European languages as a medium for African literature and internationalists who considered global literary traditions an inspiration. Despite their differences, it became clear that Western literary traditions could not be passively accepted as the only model for new African literature. Similarly, the Mbari Artists and Writers Club, Ibadan, convened leading artists, writers from the continent committed to the production and discussion of postcolonial modernist work in Africa. Besides writers such as Chinua Achebe, Wole Soyinka, Es’kia Mphahlele and Christopher Okigbo (who were at Makerere), Mbari membership included the artists Demas Nwoko and Ibrahim El Salahi, but also Vincent Kofi who was El Anatsui’s mentor, and Uche Okeke who helped attract him to Nsukka in 1975. Fascinated by the museum’s monumental architecture, El Anatsui has created three works especially for this exhibition: two indoor works, "Logoligi Logarithm" and "Rising Sea", and "Second Wave" on the building’s façade. "Logoligi Logarithm", designed for the vast centre hall of the East Wing, consists of approximately 65 individual parts made of aluminum and copper wire, forming a walkable labyrinth. Within this concourse, manifold perspectives arise, as well as countless axes and plays of light and shadow is dedicated to the Ghanaian poet Atukwei Okai (1941-2018). "Rising Sea" is an eight-meter tall white wall and floor piece, which despite its dazzling beauty is a commentary on the pressing issue of global warming and coming disasters. "Second Wave" the approx. 110m installation on the outer façade of Haus der Kunst, incorporates several thousand offset printing plates, sourced from a local Munich printing house where a large daily newspaper is produced, as well as from a printer in Bolzano, which produces art books. The printing plates have been folded, pressed, layered, riveted, bent, curved and welded into 22 panels, each ten meters high and four meters wide, connected by bridging elements. "Second Wave" combines a strong physicality with structural indeterminacy. Okwui Enwezor comments that this installation conjures the popular African rule of life that "no condition is permanent." An exhibition by Haus der Kunst, Munich. Curated by Okwui Enwezor, former Director of Haus der Kunst and Chika Okeke-Agulu, Professor of Art History at the Department of Art and Archeology, Princeton University, assisted by Haus der Kunst curator Damian Lentini. The exhibition is made possible thanks to major funding by the Art Mentor Foundation Lucerne, the significant support of an anonymous donor, and the generous contributions of Gesellschaft der Freunde Haus der Kunst e.V., Jack Shainman Gallery, New York, Reni Folawiyo, Bolaji Balogun, Yvonne Fasinro and Kavita Chellaram. "El Anatsui. Triumphant Scale" travels to the Mathaf Arab Museum of Modern Art, Doha (October 1, 2019 to February 2, 2020); the Museum of Fine Arts, Berne (March 13 to June 21, 2020); and the Guggenheim Museum, Bilbao (July 17 to November 1, 2020). Prestel will publish an exhibition catalog of 320 pages, with extensive illustrations from the artist's archive, authored by Enwezor and Okeke-Agulu. After training in sculpture at the Kwame Nkrumah University of Science and Technology in Accra from 1965–1969, El Anatsui (*1944, Anyako, Ghana) taught at the Specialist Training College in Winneba, Ghana. In 1975, he moved to Nigeria where he taught sculpture and design for four decades at the University of Nigeria in Nsukka, becoming an emeritus professor in 2016. 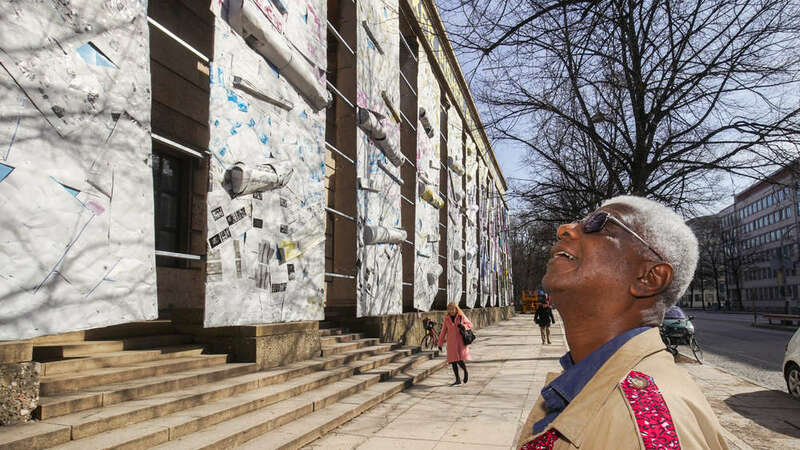 A member of the Aka Circle of Exhibiting Artists and a leading figure of the Nsukka School, El Anatsui has exhibited in five continents over the last 50 years. His numerous solo exhibitions include "Wooden Wall Plaques", Asele Art Gallery, Nsukka, Nigeria (1976); "Broken Pots: Sculpture by El Anatsui," Institute of African Studies, University of Nigeria, Nsukka (1979); "Venovize: Ceramic Sculpture by El Anatsui", Faculty of Art and Design Gallery, Cornwall College, Redruth (1987); Gawu, Oriel Mostyn Gallery, Llandudno, Wales (2003); "Gli", Rice University Art Gallery, Houston (2010); "A Fateful Journey", National Museum of Ethnology, Osaka, and The Museum of Modern Art, Hayama (2010); "Gravity and Grace: Monumental Works by El Anatsui," Akron Museum of Art, Brooklyn Museum, New York, Des Moines Art Center, Bass Museum of Art and Museum of Contemporary Art, San Diego (2012-2015) and many other exhibitions in museums, galleries and foundations. El Anatsui has participated in major group exhibitions including the Venice Biennale (1990 and 2007); the 5th Biennale in Havana (1994); the 1st Johannesburg Biennale (1995); and the biennials of Dakar (2000), Liverpool (2002), Gwangju (2004) and Marrakesh (2016); as well as the 9th Sculpture Biennial of Osaka (1998) and La Triennale, Paris (2012). Public commissions include Broken Bridge for La Triennale, Paris (Museé Galiera) 2012; Broken Bridge II, 2012-2013, presented by Friends of the High Line, New York; and Tsiatsia - Searching for Connection, 2013 on the façade of the Royal Academy of Arts in London. Three Angles is currently installed on the façade of the Carnegie Museum for the 2018 Carnegie International, Pittsburgh. El Anatsui has received many prestigious awards, including the Praemium Imperiale (2017); the Golden Lion for Life Work at the Venice Biennale (2015); the Audience Award at the 7th Triennale of Small Sculpture in Fellbach; and the Kansai Telecasting Prize at the Osaka Triennale (1995). He has received honorary doctorates from Harvard University and the University of Cape Town (2016) and he was made an honorary member of the American Academy of Arts and Sciences (2014) and the Royal Academy of Art (2013). 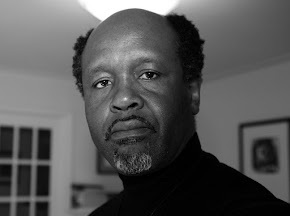 He won the Prince Claus Award (2009) and the 30th Anniversary Award from the Smithsonian National Museum of African Art (2009), among others. El Anatsui's work is in major public collections in Africa, Asia, North America and Europe, including the Asele Institute (Nimo); the African Studies Gallery of the University of Nigeria, Nsukka (Nsukka); The British Museum (London); The National Museum of African Art, Smithsonian Institution (Washington, D.C.); the Centre Pompidou (Paris); the Los Angeles County Museum (Los Angeles); the Des Moines Art Center (Des Moines); the De Young Museum (San Francisco); the Museum Kunstpalast (Dusseldorf); the Setagaya Museum (Tokyo); the National Gallery of Modern Art (Lagos); the Metropolitan Museum of Art (New York); the Museum of Modern Art (New York); the Royal Ontario Museum (Toronto); the Tate (London); the Nelson-Atkins Museum (Kansas City); the Iwalewahaus, University of Bayreuth (Bayreuth); the Jordan National Museum (Amman); the Leeum Samsung Museum (Seoul); the Brooklyn Museum (New York); The Broad (Los Angeles); the Indianapolis Museum of Art (Indianapolis); the Museum of Fine Arts (Boston); the Guggenheim Museum (Abu Dhabi) and the Saint Louis Art Museum (Saint Louis). El Anatsui lives and works in Nsukka, Nigeria. Images are available at www.hausderkunst.de/presse. On Looted African Art: Are US Museums Playing the Ostrich? When it comes to the question of returning looted African art and Benin Royal treasures, American museums are playing the ostrich. But for how long? 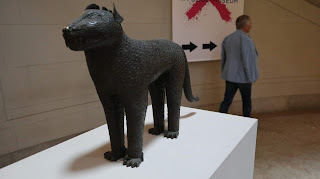 Just about ten years ago, influential voices in the US artworld told us that art and cultural heritage from anywhere in the world belong to all humanity and therefore must be kept safe in fabulous universal museums in Europe and America that had amassed them primarily during the era of colonization. It did not matter much, the argument went, how these objects, many of significant value to the communities, cultures, nations and states that originally owned them, ended up in these well-heeled museums. They all but wanted to be patted on the back as generous caretakers of global artistic and cultural heritage. Thankfully, few believed there was something strange, wrong and arrogant about this argument. But they were seen as purveyors of fringe thinking, inebriated by left-brewed, postcolonial theory Kool-Aid. Not anymore. 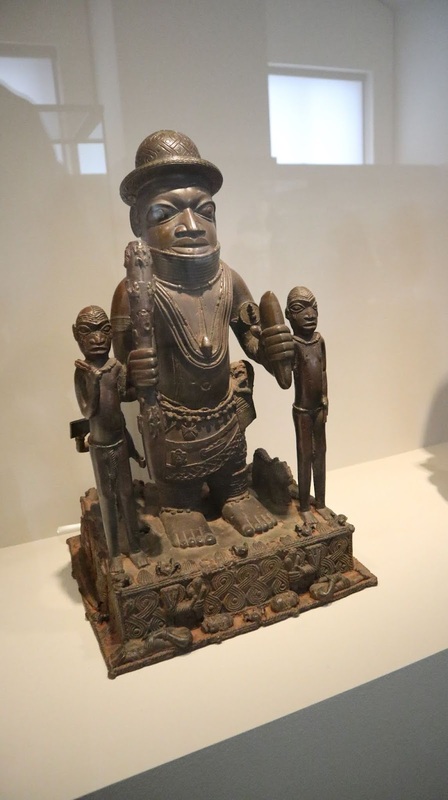 Two recent developments in Europe, one by the French government, the other by the Benin Dialogue Group (BDG), established by a handful of major museums, have returned this debate to the center stage. But the Americans are MIA! On November 28, 2017 in Ouagadougou, capital city the West African nation of Burkina Faso, French President Emmanuel Macron made history. First, he, the leader of a leading European nation, acknowledged that colonization was, for the colonized, a bad experience. Second, he demolished the notion that European museums had a duty and right to keep art objects that filled their storage rooms and galleries, mostly acquired as part of Europe’s colonial-era pillaging of Africa’s cultural heritage. “African cultural heritage,” he said, “can no longer remain a prisoner of European Museums.” Holding on to these objects, Macron implied, perpetuates the violence and injustice of colonization, and is thus indefensible. In five years, he announced, these prisoners should go home! This is huge. But many were skeptical. What politics moved the French president to apologize for the evils of French colonialism and promise to return his country’s vast holdings of African art? Whatever made him do this, there is no question that it is a game changer. This November, two scholars—Senegalese, Felwynn Sarr, and Benedicte Savory, French—appointed by Macron released their much-awaited report, a sort of action plan, on the restitution of African cultural heritage in French collections. Macron not only accepted it, he announced the immediate return of several prized royal objects looted in 1892 by the French army from the Dahomey Palace in today’s Republic of Benin. Whereas the Macron-French solution to the problem of looted African art is dramatic, and quick-paced, and, some say, too precariously tied to the whims of their current head of state, that of the BDG is, well, in slow mo. The decade-old BDG, eight museums in all, led by the British Museum London, Ethnologisches Museum, Berlin, and the Museum am Rothenbaum, Kulturen und Künste der Welt (MARKK), Hamburg—Europe’s heavies—is concerned only about Benin Royal art. There is good reason for this. In 1897, in a so-called Punitive Expedition, the British army burned the vast Benin palace in today’s southern Nigeria. They looted thousands of centuries-old brass, ivory and art objects, and within a year the state auctioned off the entire thing to pay for the military campaign. The BDG museums now hold a lot of these looted stuff, and so are American big players like The Met, Chicago’s Field Museum, Museum of Fine Arts, Boston, and Smithsonian National Museum of African Art in Washington, DC. The BDG, critical of the Macron-French plan, see theirs as the real thing. They point to the fact that representatives of the Benin King and the Nigerian government are in the group. That one is the outcome of a presidential fiat, a one-man show; the other a dialogue of partners. They have a point. And just a few months ago, they announced their big plan: to support the building of a royal museum in Benin City in three years, train its staff and--here’s the deal--loan some of the looted objects to it. But there are is big problem with the BDG solution. How do you lend stolen objects back to its owner? Might not the Nigerians, by accepting these treasures on loan, be giving up their inalienable ownership claims? The group insists that this is not the case, but many are rightfully worried, still. Say what you will though about the Europeans, they are engaged result-oriented actions, to right a historic wrong. Americans do not seem to think current restitution hoopla is their cup of tea. On this side of the Atlantic there is an indefensible silence. Perhaps they are waiting this out, comforted by the silly idea that their European cousins supervised the looting of African cultural heritage in the age of empire and must clean up their postcolonial mess. In truth, American opinion has changed somewhat. Now it goes something like this: only in Europe where museums are state institutions, art and culture socialized, could the Macron type of political intervention be possible. They say that US museums, owned by private and corporate entities, cannot be bound by the government-level decisions, negotiations and agreements of any type. This at best is a convenient excuse. At worse they care less about African concerns. Twenty years ago, representatives of forty-four countries, gathered in the US capital, signed the non-binding but historic Washington Principles—a set of guidelines for the return of art treasures looted by the Nazis from Jewish families. And just two years ago, the Holocaust Expropriated Art Recovery (HEAR) Act became law to power up restitution claims that have had mixed results two decades on. The point here is that US government and US museums have in fact seriously engaged in return of stolen cultural properties, but not those from Africa. Why? Perhaps because the African claimants do not have the kind of voice that gets to the ears of American cultural establishment? Or maybe Africa doesn't matter that much to them? Last November at a symposium on colonialism and looted African cultural heritage at the Berlin Ethnological Museum, I heard someone justify the American commitment to the return of Nazi loots and not African treasures seized by European colonial powers. It was said that their restitution is necessary because, apart from doing the right thing for Jewish victims of Nazi terror, and possible because there’s good information about specific owners of the seized items. The same argument can be made for Africa. African colonization was accompanied by systematic violence—of the killing, burning, and sacking of communities and kingdoms--but also destruction of cultures, traditions and social systems that sustained them. Moreover, we know when and where many expropriated African treasures came from and which public museums (and private collections) in the US and Europe have them. So, here is a renewed call to trustees of American museums and the state-owned Smithsonian: since the loots from Benin palace in 1897 are very well documented, and the kingdom has repeatedly demanded the return of its art treasures, it is time to do the right thing. Either they join the BDG, emulate the French, or come up with their own better plan, binding or not. The clamor for the return of Benin Royal and African art is not going away; time’s up. Mapping Modernisms: Art, Indigeneity, Colonialism, edited by Ruth B. Phillips and Elizabeth Harney (Durham, NC: Duke University Press, 2018). 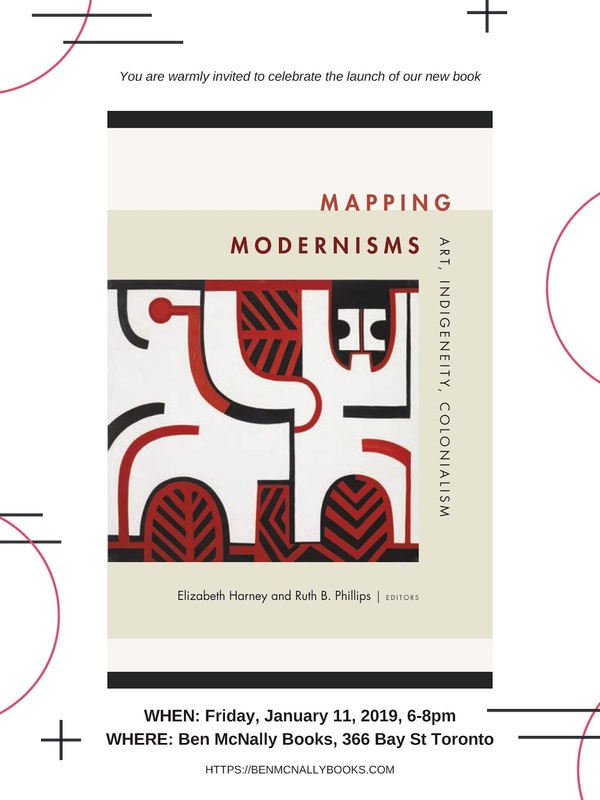 Contributors: Bill Anthes, Peter Brunt, Karen Duffek, Elizabeth Harney, Sandra Klopper, Heather Igloliorte, Anitra Nettleton, Chika Okeke-Agulu, Jack Rushing III, Damian Skinner, Nicholas Thomas, Norman Vorano.